Welcome our Chelmsford Table Lamp to your home. 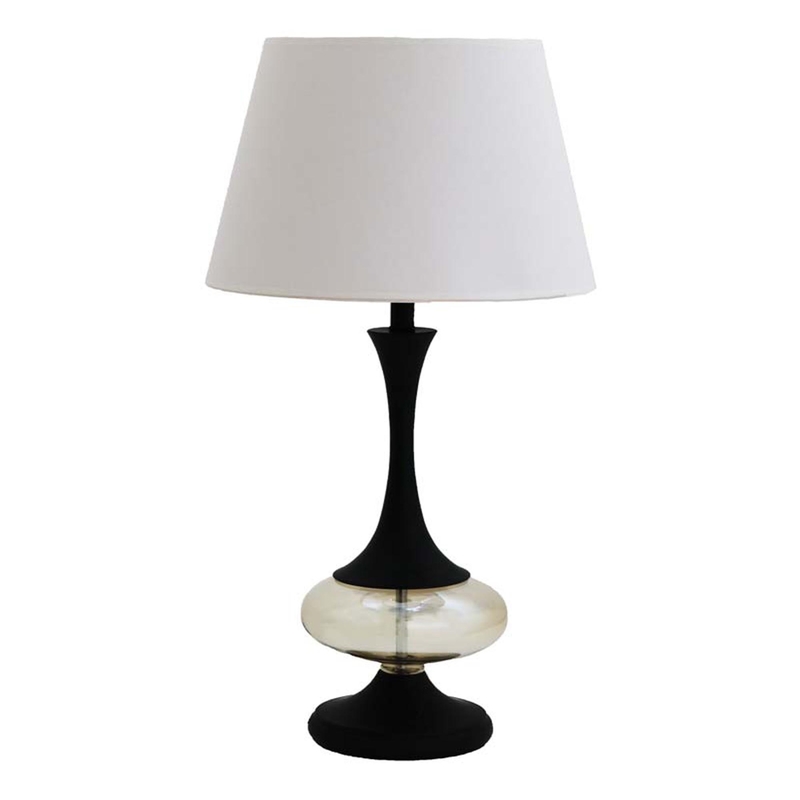 This beautiful piece consists of a elegant white shade, a unique squat formed glass body just above the black base, below the stem. This table lamp will definitely impress due to its quite large size and beauty. This modern piece is quite simplistic and will fit well in any home due to the neutral colour scheme.